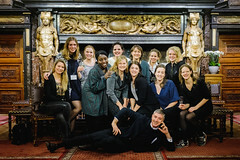 The Europeana Fashion International Association is a non-profit organisation established in order to bring together and engage fashion institutions (both GLAMs – Galleries, Libraries, Archives and Museums- and creative industries) in the valorisation and exploitation of fashion heritage online. 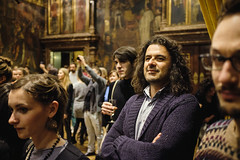 The Europeana Fashion International Association is organizing every year special events, like conferences and training workshops with the aim of raising competences and skills of its members on crucial topics like the use of social media, digitization and metadata standards for fashion content, and copyrights issues. The Europeana Fashion International Association is also providing support and best practices for the design and implementation of collections management systems for fashion archives. The Association is also actively participating in project proposals in EC programs, like Horizon2020 and Connecting Europe Facility (CEF), in order to sustain and enhance its infrastructure and to continue offering state-of-the-art services to its members.